That's 2 for the price of 1! price of 1 — only $46.95 — to each of the recipients listed below. This page will only accept U.S. orders. Fields marked with an asterisk (*) are required. A gift card will be sent to you to announce your gift. New gift subscriptions will start with the first issue in January. 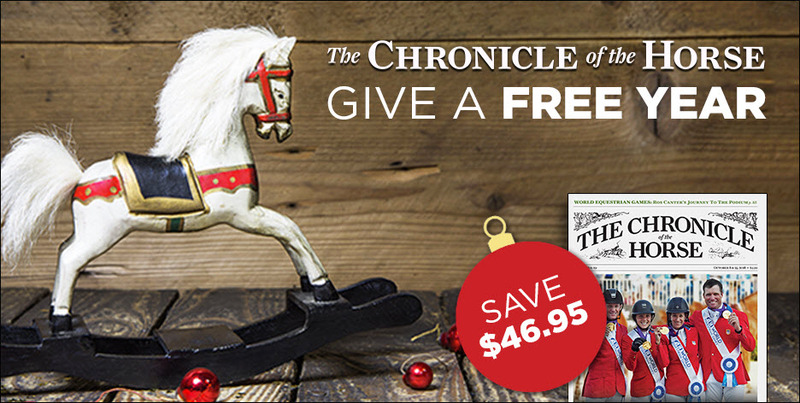 The Chronicle of the Horse publishes 24 issues a year plus 6 bi-monthly issues of The Chronicle of the Horse Untacked.